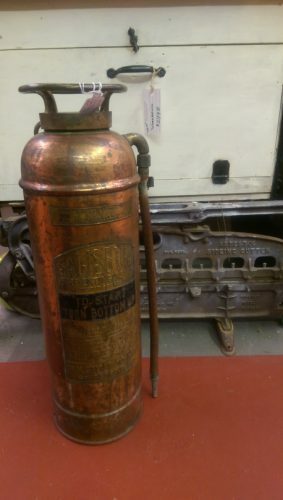 An antique Salisbury copper fire extinguisher. Also visible in this photo, the old Monarch asbestos siding cutter. 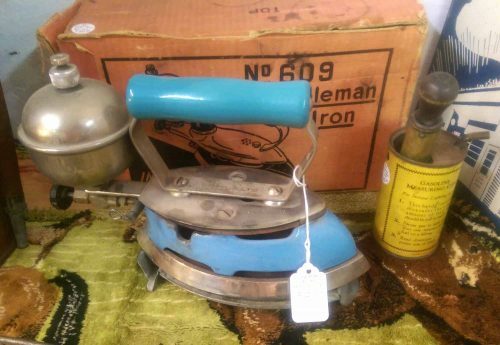 And an old blue enamel Coleman 609 iron — with the gas pump and filler can & box. Circa late 1930s. 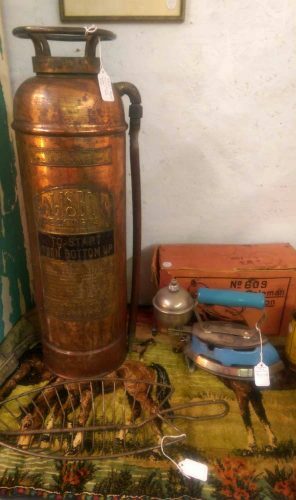 All currently available in our spaces at Su Laine’s Antique Mall. Our dealer code is YES. You can call the shop directly at 218-844-6830 (or Toll Free at 888-SuLaine) between 10 am and 5 pm, Central time; or contact us directly here or on Facebook.